Providing unique experience of luxury accommodation to guests with a touch of the past and personal approach to each guest, makes Villa Tribalj so special and one of a kind. Surrounded by intact nature, in compete privacy and with amazing view, just steps away from the sea and the mountains. 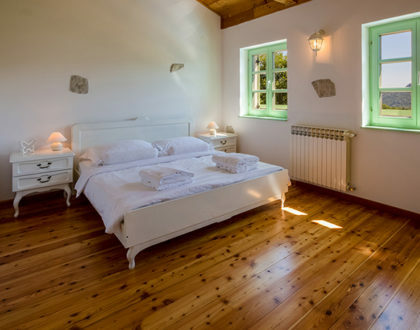 A cozy family villa in the hinterland of the Adriatic sea calls you to come deep inside the nature and enjoy the calmness by soothing sounds. You will feel shifted to a time when people were more relaxed with the pool surrounded by the nature and exceptional amenities. 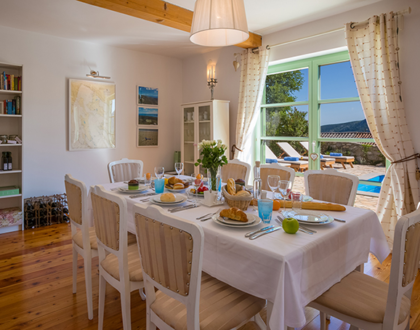 Spend an unforgettable holiday with your family and friends and create new memories in Croatia. Luxury family villa with personal approach to each guest and their needs in order to make your holiday memorable . Our goal is to make you delighted! Do you want your whole family to enjoy the vacation? This is the right place for you! 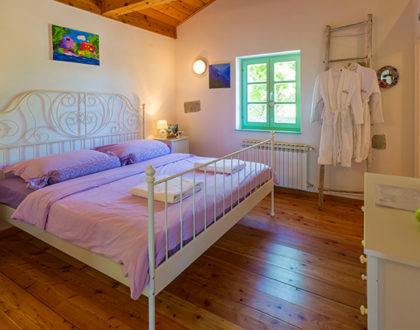 Villa Tribalj is the perfect place for family holiday with all amenities needed to make everybody happy. Let us be your personal concierge and organize everything you might need. Just let us know about your wishes! Take a minute and read our reviews to find out about the experience of guests to our villa during they stay with us. For two weeks Villa Tribalj was our home. What a great place to be!! It has everything you want and more. The host Vedran makes you verry welcome. Located in a quiet area overlooking a green valley this very well maintained and fully equipped villa offers all the amenities for a most comfortable and enjoyable family holiday. We heartily recommend this delightful holiday house. It is newly built in traditional style, and offers easy living and great charm. Visitors will appreciate the love and attention to details. Our best holiday ever. We have tree young children and was hard to find an ideal place for all of us. But now, we found it. Villa Tribalj have all you need for perfect holiday.